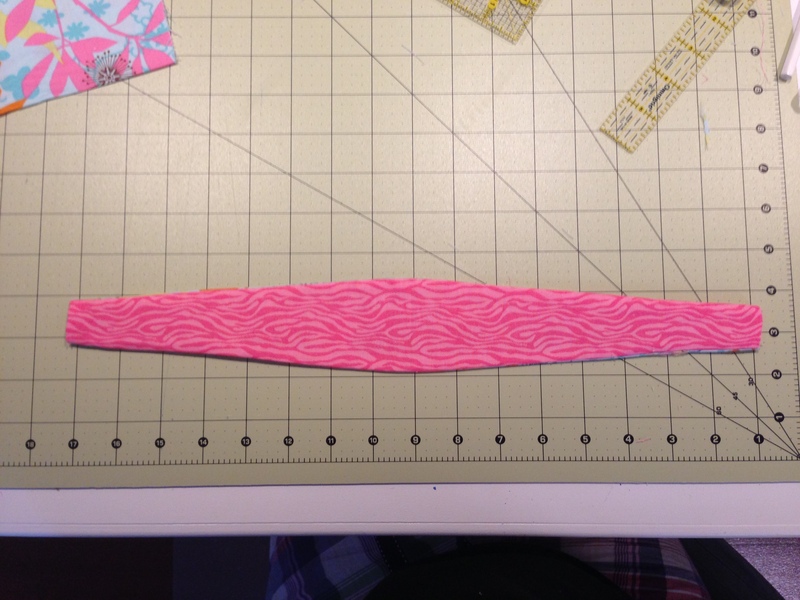 Today I attempted and failed a fabric headband only to try it again and finally make it!! 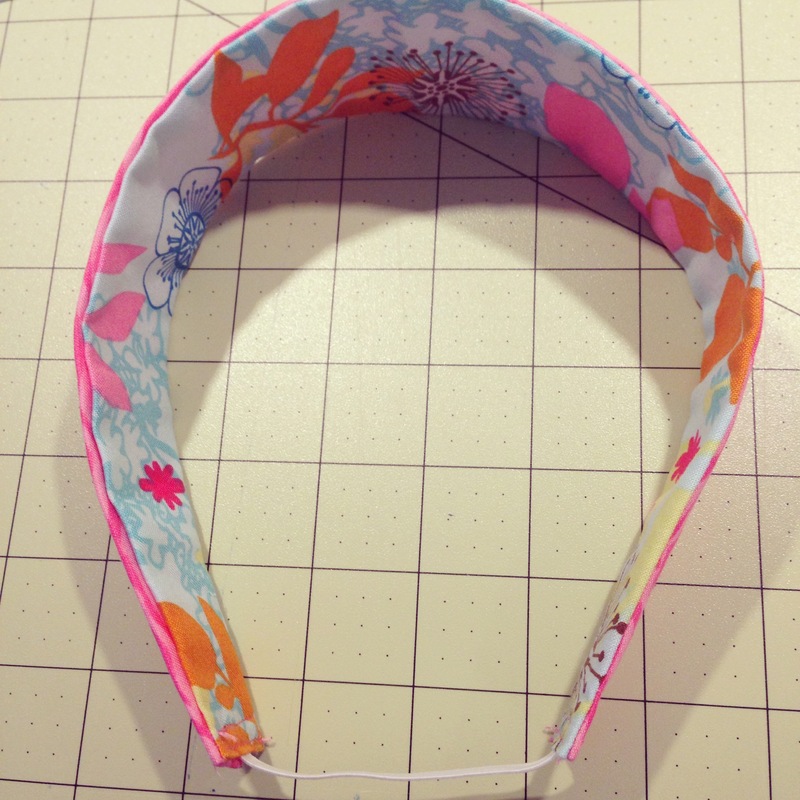 I have been trying to find things to use with my scraps and since Emma has been headband crazy these past few days I’ve decided to make her a few as well as a few adult ones! 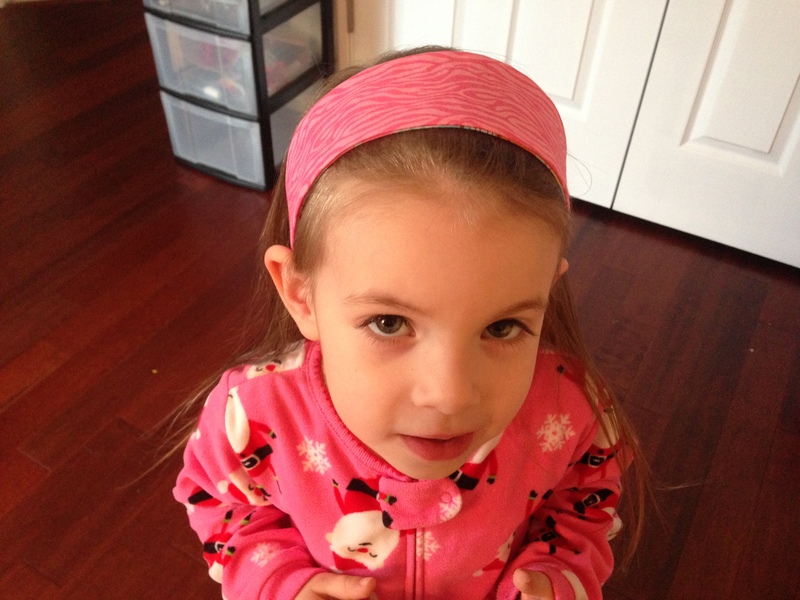 This one is an adult size but that didn’t stop Emma from trying it on! 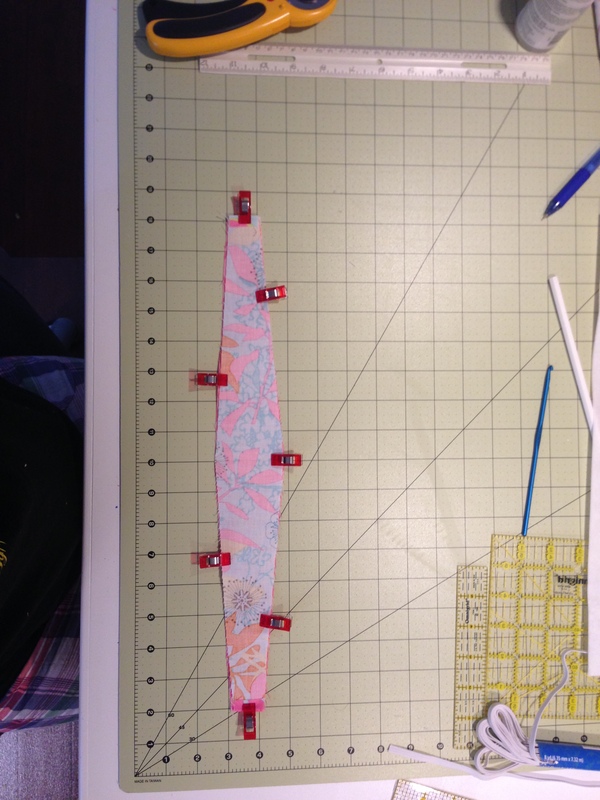 Fabric – one to two fat quarters would work for this project. Soon I will have a pattern up for sale in my Etsy store for those who would rather just print out the sizes I used instead of measuring and figuring it out on your own! 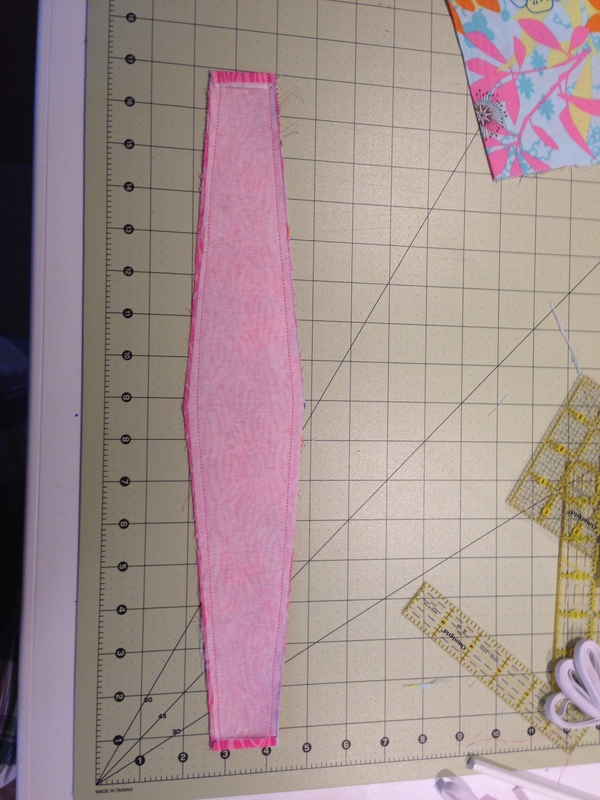 I cut out the fabric according to my measurements, ironed on the interfacing to the outside of one piece of fabric and clipped them together. You’ll see that I went ahead and folded my ends in to give it that clean finished look on the edges when it’s done. 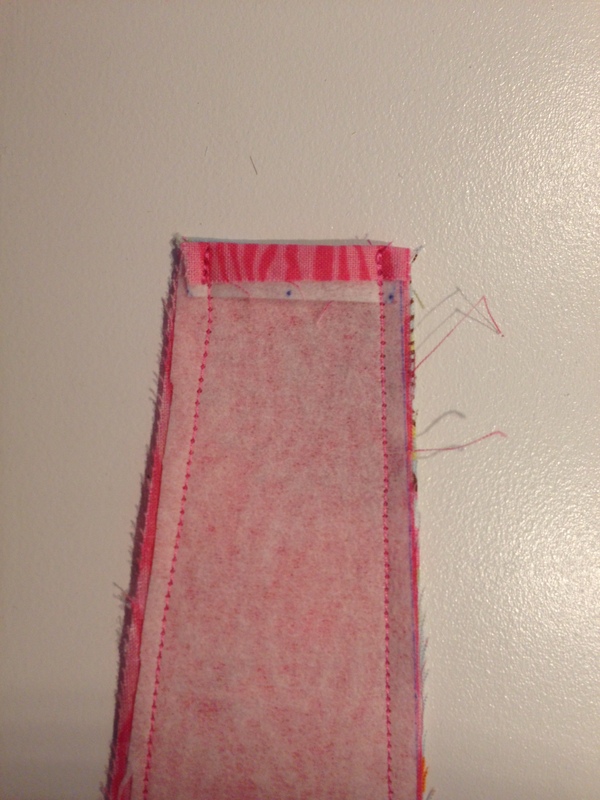 I did about a 1/4 seam around the edges sewing on top of the folded edges to keep them in place. Then comes the tricky part! 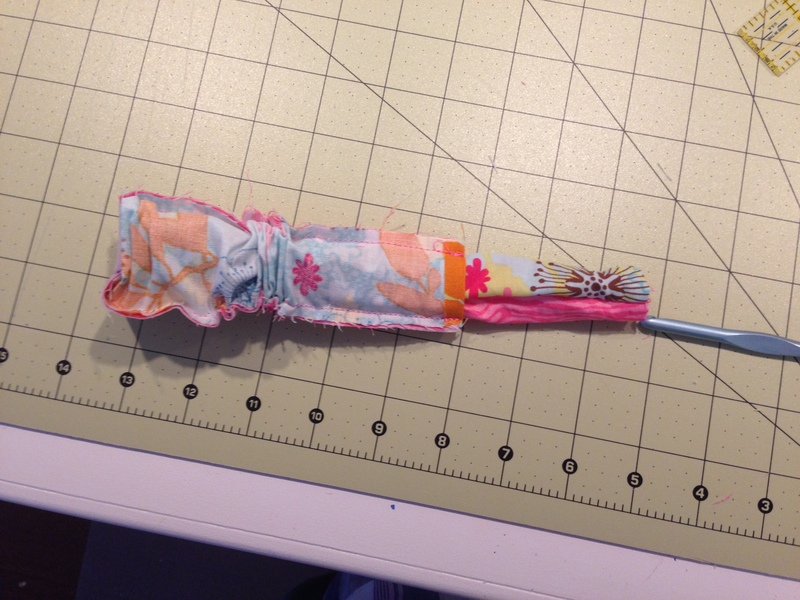 Flipping the fabric inside out isn’t always the easiest and if you sew to closely to the edges it will rip the ends. I used my fingers to turn one side into the other and slowly feed it through the middle of the tube. Once the fabric started getting close to the smaller side I used a crochet needle to help me push it through. Once flipped inside out I ironed it flat, you could also do a top stitch for decoration here if you’d like, I chose the simple method of not doing it!! 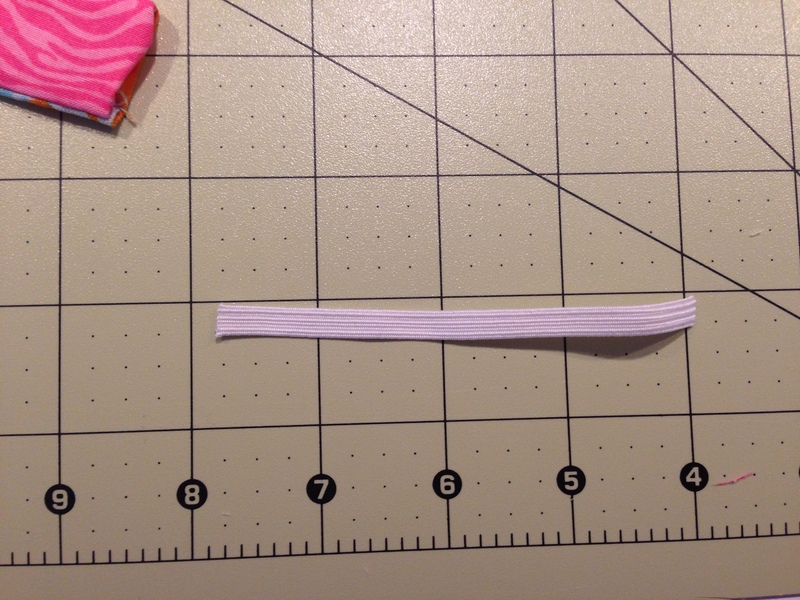 I cut out about a 4 inch piece of elastic to give me enough room to slide in the ends and sew it in. 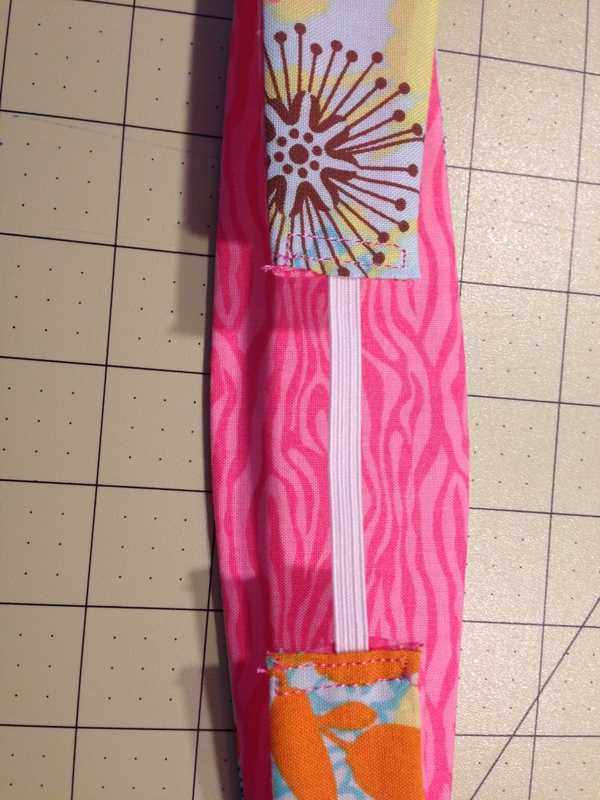 I chose to do a box like sew to ensure that the elastic was sewn in well and wouldn’t rip. You can do a decorative stitch here if you’d like. 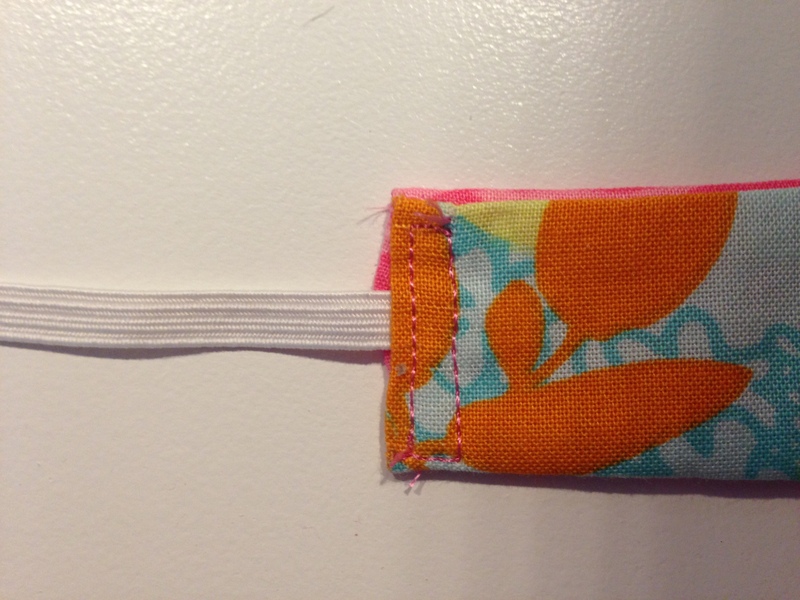 I did the same thing with the elastic inside the middle piece of the end and did a box shape sew. Even though it was too big for her, she was excited to try it on! I’m excited to make her a mini one that will actually fit her! One of my favorite things about this is that I made it reversible. This makes it easier to mix and match with outfits, and since this little one has a ton of outfits, she will be getting a ton of reversible ones!